Panto producers have been watching anxiously as Doctor Who actor Colin Baker subsists on a diet of rice and beans in the Australian outback. Sometime Clive Conway Productions speaker Baker was delighted when he was offered the chance to compete in ITV’s I’m A Celebrity Get Me Out of Here, telling friends that he hoped to lose a stone in weight. 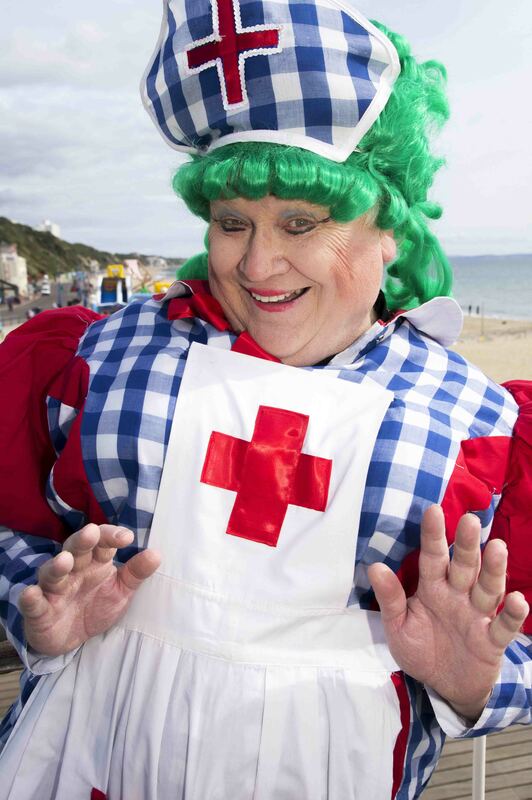 But now it looks as though Baker who, win or lose, is due in Bournemouth on December 8 to star as dame Nurse Nelly in Sleeping Beauty at the town’s Pavilion Theatre, may have lost even more weight than he planned. An insider tells me that the costume department fear that Nelly may have dropped at least a couple of dress sizes. In other words Colin’s antics in the jungle have had them quite literally in stitches. He has dealt with surprising ease with the privations of jungle living but then as the flamboyant sixth Doctor Who back in the 1980s he had daleks and cybermen to contend with. Colin has brought a certain eccentric style to the jungle with him too. Though it should be noted that the ritual of other contestants rubbing his “magic belly” for luck before facing a jungle ordeal seems to have worn off. And that may just be because as his mighty stomach has gradually decreased in size it has somehow seemed less magical. Whatever the reason, it may soon all be over for this son of Gallifrey. Tonight’s I’m A Celebrity… will find Colin going head to head with former darts champion Eric Bristow in bug-ridden bushtucker trial. Winner takes all. Loser gets an eviction notice and a one-way ticket back to Blighty, In Colin’s case he’ll be straight into knockabout panto mode facing Su Pollard as the hiss-boo villain.